I’ve been to Las Vegas twice in the last two years, both times to compete in the Stratosphere Tower stair climb. Each time, after I came back, Lucinda said that she wanted to go there. So this weekend, we did just that. 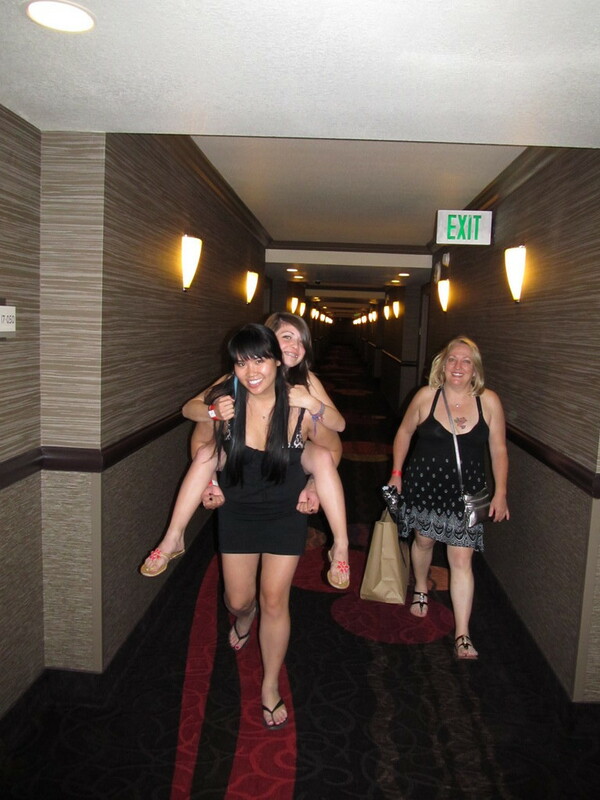 Lucinda and I took a trip to Las Vegas with Kathleen and her daughter Trinh. It was a pretty free-form affair. We had two rooms reserved at the Stratosphere, and the only planned activities were riding the three big roller coasters. Beyond that, it was all open. We headed out early Friday afternoon. 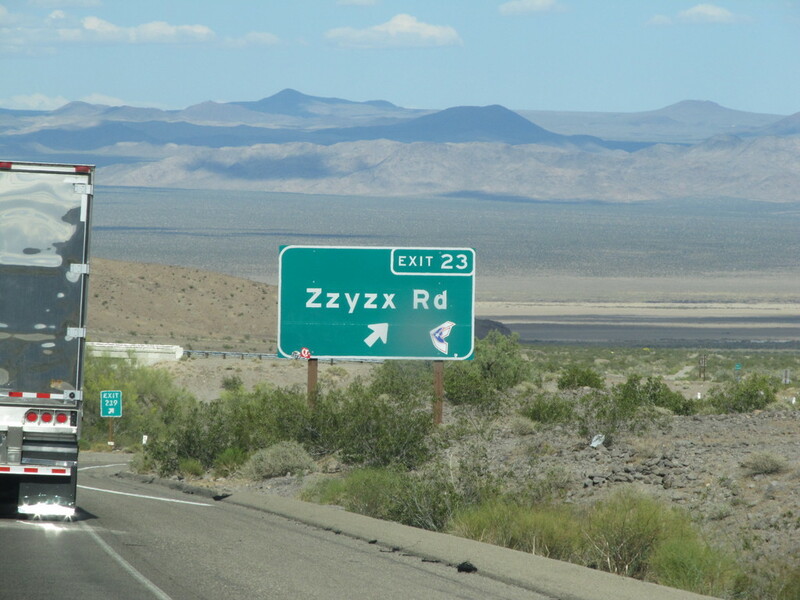 That put us ahead of the Friday afternoon traffic, and it got us there a bit early. 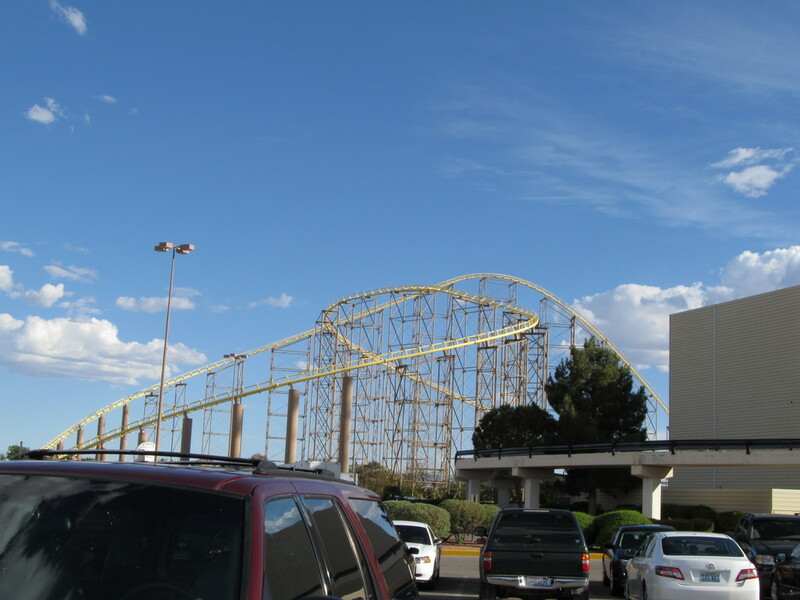 That meant that we had time to stop off at the state line and ride the Desperado roller coaster at Buffalo Bill’s in Primm. As always, Lucinda was a bit apprehensive, but afterward, she said that she liked it. So that was good. 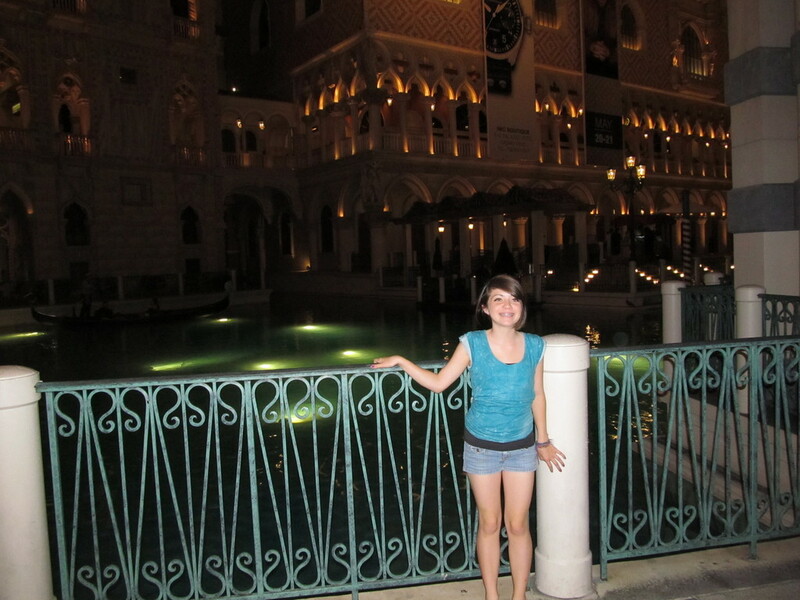 When we got to Las Vegas, we checked in and then went to dinner at The Peppermill. Kathleen and I had gone there back in March when we were there for the stair climb, and we liked it. After that, we all took a walk down the Strip, since the girls wanted to do some sightseeing. 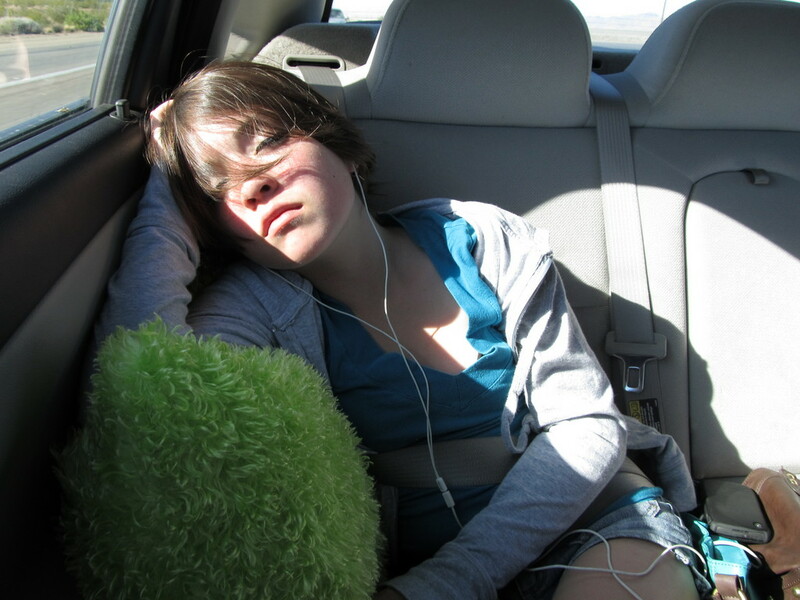 Along the way, a homeless man christened Lucinda with a new nickname: “Pebbles”. 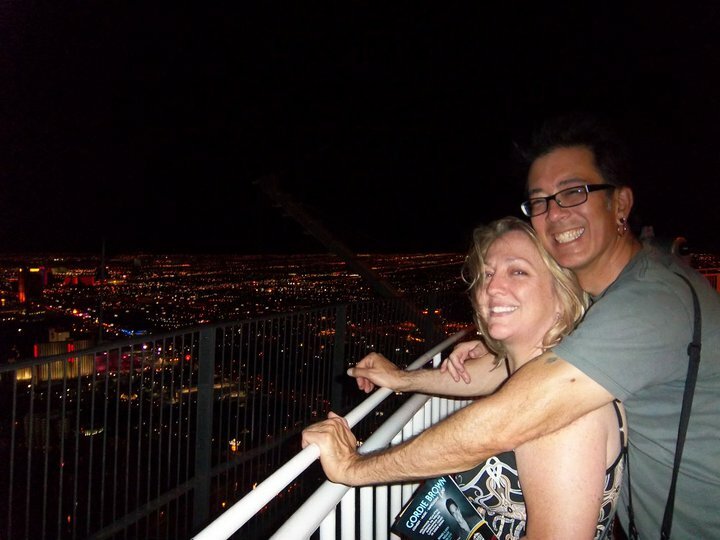 After that, we went back to the Stratosphere and took a ride up the tower. At the top, we took in the view and had a look at the rides and all the lights from the city. On Saturday morning, Lucinda and Trinh went to the Premium Outlet downtown to shop for swimsuits. And after that, they went to the pool. So that left me and Kathleen to our own devices. I got up early and went to do some stair climbing with my friend Randy. We went to Fitzgerald’s in downtown. Apparently, this is the hotel that the fire department trains in, so they don’t have a problem with people coming in there to run the stairs. We did the 33 floors four times, which was fun in its own weird way. Stair climbing is still the most painful thing I’ve ever done, but I still like it. I really can’t explain that. After the stair climbing, Kathleen and I went out for some sightseeing and visiting. We had found out that my old tattoo artist, Dave Zero has a shop just about two blocks from the Stratosphere. So we took a walk up there to go see him. After that, we spent the rest of the afternoon there doing more typical Las Vegas-y things. When dinner time arrived, we walked back to the Stratosphere and got the car. Then we headed down to Circus Circus to meet the girls there. 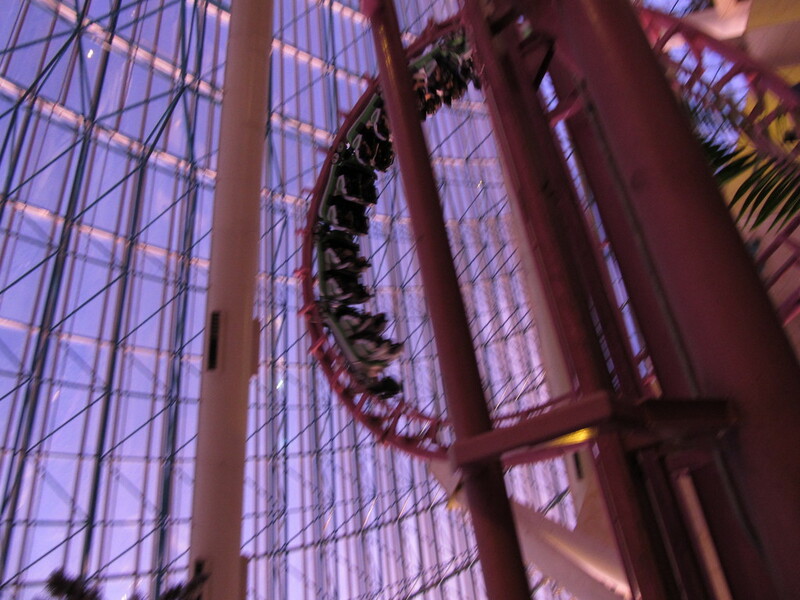 We were all going to ride the Canyon Blaster roller coaster in the Adventuredome amusement park. We rode the coaster twice, since it was a pretty fun ride. Then we all went to dinner there before heading downtown. We’d seen an article about the Neon Museum and how they had a display of old neon signs on Fremont St in downtown. 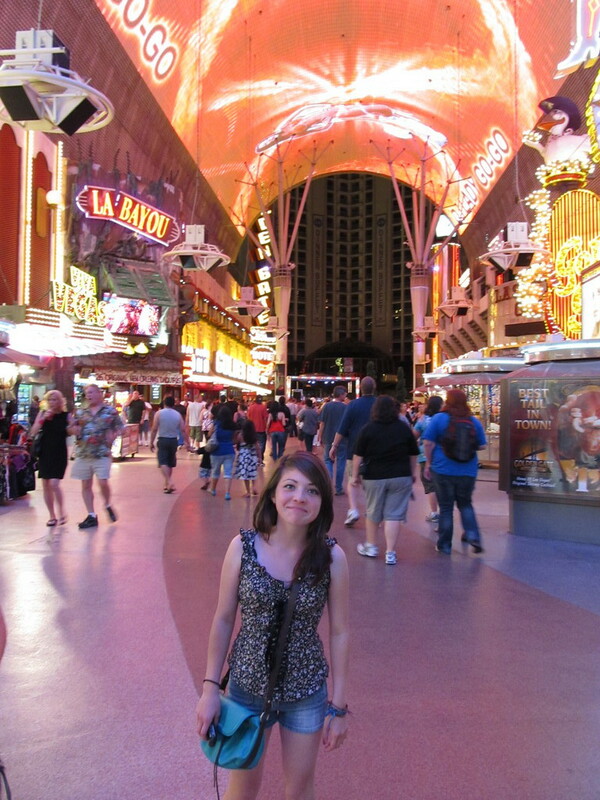 Since I’d never been there since they’d built the Fremont Street Experience, it seemed like it could be a lot of fun. 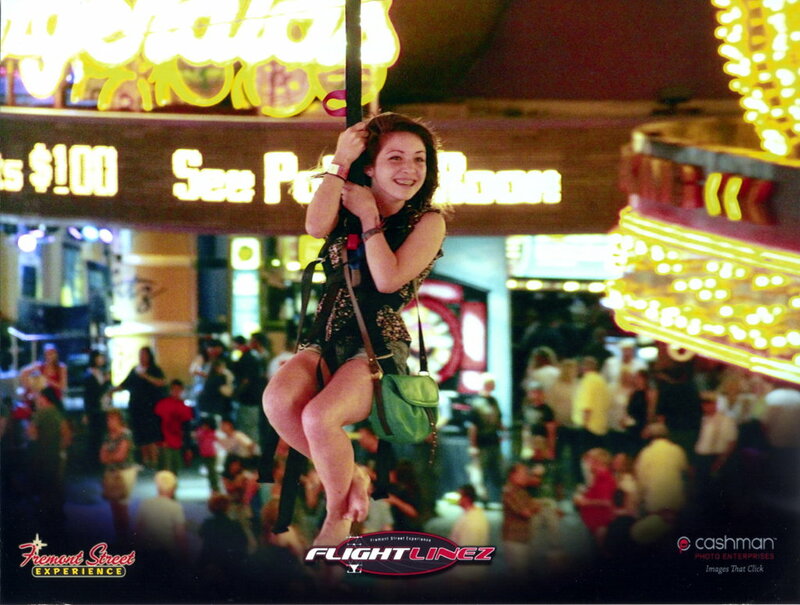 When we got there, the girls saw the zipline down Fremont St, and they all wanted to do it. I wasn’t really in the mood for it, so they went without me. While they waited in line, and I scoped out where to stand to get the best pictures when they came down the wire. My new camera has a low-light mode that works pretty well. They enjoyed their ride, and all in all, it was a very fun evening. On Sunday, we checked out of the hotel and headed over to Randy and Lynn’s house for a barbecue. The girls went in the pool with their kids. Lucinda got a little sunburned, but aside from that, it was a good time. After that, we stopped off at Luv-It for some frozen custard. Yum. Then we went to New York, New York to ride the roller coaster there. But sadly, the wind had picked up enough that they’d closed the ride, so that will have to wait for next time. By now, the girls were tired, and it was time to head for home. It was a fun weekend.